You may have seen in a previous post I had a chance to play with a pre-release Fuji 23mm 1.4 lens and I sheared my initial impressions there. Today I got my hands on the first sample of this lens to ship here in New Zealand. Rather then load you up the post with lots of internet sized jpegs Ive got a couple of RAWs here so you can make up your own mind on the lens. They are nothing artistic but I tried to get objects across the frame in the stopped down sample. The results I obtained from this sample basically mirrored what I had seen in the early sample we received. Wide open I have found not to be as great as other glowing reviews Ive read on this aspect. Maybe Ive just spent too much time with the Sony RX1 shooting wide open but I find the Fuji a bit mushy wide open. Bokeh looks pretty good though. Stopped down is a completely different story! WOW... Fantastic... Check out the edges on this RAW and you will see what I mean. It really holds up well all through the frame. 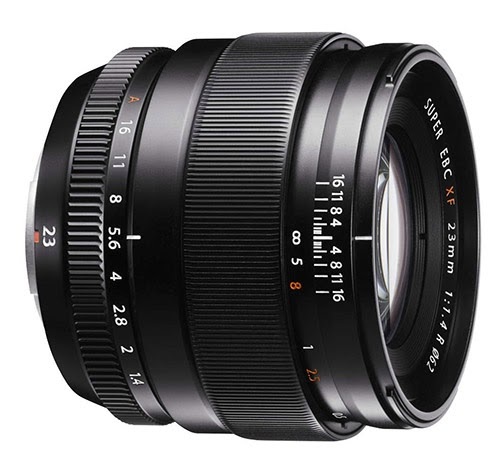 I believe the best X series lens Ive tried is the 14mm but this is right there wth it. Here is the file for you to play with..